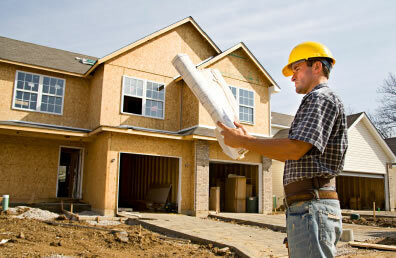 Whether you are building a new home or replacing a few windows, finding a competent and reliable contractor is a must. Nightmare stories of contractors abandoning jobs, doing shoddy work or even ripping off clients are common. Below you will find some useful tips to help you to hire the right professional for the job. You have heard it before, but take it to heart. The number one, best way to find a contractor is through people you know. Don't rely on advertisements as an indication of a contractor's suitability for a job. Recommendations from people you know and trust are invaluable. References provided by a contractor, while important, nevertheless will be from people the contractor knows are satisfied with their work. You rarely will get a reference who had serious issues with a contractor. If a contractor has had 100 clients and only ten were satisfied, those ten will be on the references list. A recommendation from a friend or acquaintance is likely to be much more detailed and insightful. Furthermore, your friend probably researched the contractor too and found others that recommended the contractor to them. A reference from a friend is typically a much more reliable source. Most contractors are reputable, but of those who were not, many had a tip off found on this list. A tip off listed here doesn't mean the contractor is disreputable, but it does suggest that you be should be on your guard. Tells you your job will be a "demonstration"
Suggests that you borrow money from a lender the contractor knows. A common home improvement loan scam. Most states require an electrical or plumbing contractor to be licensed. However, several states have no licensing requirement for general or building contractors. Determine what licensing is required in your locality and verify that any contractor you consider for your project is properly licensed and that their license is up-to-date and in-force. All contractors should carry proper and adequate insurance. They should carry Worker's Compensation, General (or Personal) Liability and Property Damage Coverage. Obtain a copy of the policies and verify they are in-force. An uninsured contractor is an unprofessional contractor. If a worker is injured on your property, and the contractor has no insurance, you can become liable for that worker's injuries. If they become disabled, the cost to you can easily reach the hundreds of thousands or even millions. Adequate insurance coverage is a dull thing to have to worry about; but you could lose your home if the worst happens. Not every state requires a written contract, but it is always a good idea. A contract should explain the scope of the work, who will be responsible for what, the payment terms, estimated start and completion dates, procedures for change orders, warranties for workmanship and materials, a detailed list of materials, including brand, model, color and any other details that matter to you. It should also include the contractor's name, address, phone number and license number. Don't make assumptions, specify everything that you require or that matters to you. The contractor is in business to make money, they aren't going to use premium materials unless they bid the project to include premium materials. A good contractor isn't going to try and cheat you by skimping on quality or materials. But they aren't going to use silk when burlap will do, unless you specified that silk be used. Also, get all oral agreements on paper too, in case someone forgets. The point is, get everything into the contract. How many projects like mine have you done? How long has your firm been in business? How many years of experience does the contractor and their crew have? Will my project require a permit? Can you provide me a list of references? Will you use subcontractors? If so, are these the same sub-contractors used on projects for the references? Ask if you may visit their home to see the completed work. Were you satisfied with the project? Were you satisfied with communications with the contractor? Did they keep you informed? Were all costs that should have been included in the budget, included or were there additional costs that should have been spelled out in the beginning? Did workers show up when expected and on time? Did they keep the job site adequately clean? Did workers clean up after finishing the job? There will be a variety of paperwork to go with your project, possibly quite a bit. We recommend purchasing an expanding file to keep all the paperwork together and easily portable. Keep your contract, change orders, copies of permits, installation information for appliances and other products used in your project, loan documents, plans and correspondence. We further recommend keeping a journal of phone calls, conversations and activities. It may be worthwhile printing a copy of any email, especially involving important details. Thoroughly photographing your project, at various stages, is also a good idea. Photographs may be interesting to show how the project progresses. They may also be valuable for providing information about where various pipes and wires run, for future work and repairs. Photographs may also be useful in resolving issues with the contractor should problems arise. Withhold final payment to the contractor and do not sign off until all work is completed and done to your reasonable satisfaction. Make certain that all work meets the standards set forth in the contract. Get proof that all subcontractors and suppliers have been paid, a signed unconditional waiver and release from each subcontractor and supplier is wise. The work site should cleaned up and no equipment, tools debris or materials should remain. Inspect the work and test the function of everything the contractor is responsible for before approving the work.